Recently, tech websites and gadget blogs have been refueled with news about the imminent launch of foldable smartphones. 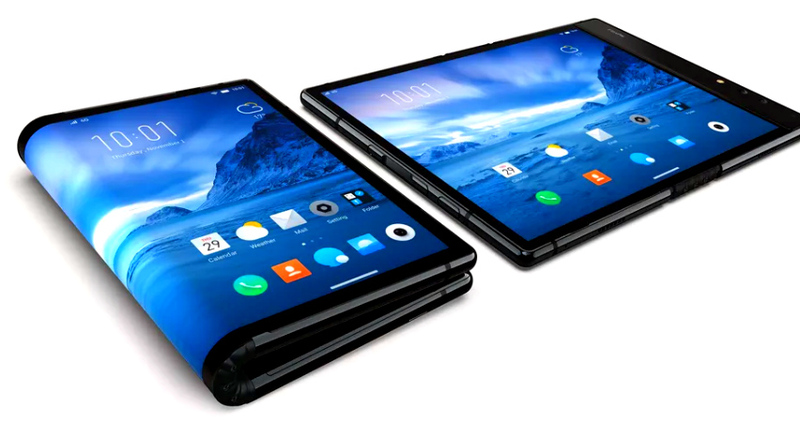 In fact, the first folding handset is finally slated to hit the market in 2019, which makes one wonder if consumers are ready to welcome such an oxymoronish blend of large-screen and portability. In November 2018, leading mobile phone giant Samsung revealed its main technology powering foldable smartphones known as as Infinity Flex Display. With its unveiling at the developer's conference, a question was raised on whether a foldable smartphone would stir a resurgence or revival of the smartphone market. Market research firm International Data Corporation (IDC) has recently disclosed that smartphone shipments went down by 1.8 percent in the second quarter of 2018 compared to the same quarter in the previous year. You may be wondering why the smartphone industry the handset industry is seeing a down trend when companies have been continuously releasing new smartphones into the market. Well, it is caused by high penetration rate coupled with market saturation and the surging average selling prices of these devices. At this juncture, the market is in need of a change or a catalyst that will revitalize consumers' desire to upgrade their daily drivers. Though Samsung has not revealed much information on their upcoming foldable smartphone, the Korean Giant has shared that they used a compound of synthetic materials instead of glass on the device's exterior to make room for flexibility and bending. The size of the device, they say, is akin to a tablet computer and features a large 7.3-inch screen. The screen can fold in on itself and closes like a book. Once the phone gets shut into the half, there is a second screen outside which can be used like the commonplace, pocket-friendly smartphone. Samsung said the phone, which will cost approximately $1500, can run three apps at once - two on the bigger screen and a third on the smaller screen. People generally like a bigger screen on their smartphones because it enhances the experience of watching videos, browsing websites, and using social media apps. From the earlier phones of 3.5” displays, we have come to the current 6”+ sizes, which is indicative of consumers' need for a larger viewing panel. However, big screens have also been a big turn-off as they diminish the portability of mobile devices by adding heft. Although Samsung often grabs the headlines when there are talks about folding phones, the Korean tech titan is actually not the first to announce such a device in the market. In fact, California-based start-up Royole recently launched the world’s first foldable smartphone and outdid all of the ace smartphone makers in this regard. Their foldable smartphone called FlexPai, which is assembled in Beijing, China, dons a price tag within the range of $1,295.49 to $1,871.33 USD. Aside from Samsung and Royole, other key players in the market such as Google, Lenovo, Huawei, and Xiaomi are now also foraying into making foldable devices. Google, for instance, is working with Samsung in crafting the much awaited Infinity Flex Display. Microsoft, on the other hand, is supposedly working on a smart multi-screen device. On the leeward side, we also have to consider the wide array of issues that may creep into with the usage of foldable smartphones. The durability of such devices is the foremost issue. As Sandra Henshaw says in her blog post on rugged phones: If you work on building sites or you love rock climbing and kayaking, or maybe you’re just clumsy, I bet you would prefer a phone that’s going to stand the test of time (and a few drops) -- and a rugged smartphone will be exactly that. It should survive being dropped, falling in water, and being covered in dust or sand. [At this point, I think] a foldable handset can not do all those [because it has many delicate parts]. On a separate note, while it is said that Royole’s Flexpai’s foldable display can endure over 200,000 open-and-shut actions, issues like portability and battery life are still being raised. Royole's FlexPai (just like Samsung’s Infinity Flex Display) appears to be thick. If such foldable smartphone would not be able to fit in the pocket, then its very purpose as a mobile device will be defeated. Especially at this time when people prefer light phones and when companies are pruning the size and weight of the phones, the fate of these upcoming models in the market hangs in the balance. Battery life has been a constant issue that has plagued mobile users since time immemorial. We already have been complaining about the declining battery life of the phones which do not last longer than a day. If foldable smartphones were to showcase their peculiarity and find a big market, then they would have to come with extended uptime that will benefit most consumers. Viewing the whole scenario with rosy spectacles, I think that even if foldable smartphone makers face the above-mentioned challenges, there is future in this new handset category. I mean, our routine activities of watching movies, playing games, browsing the internet, video calling, and using google maps, among other things will be transformed into better experiences once these products become more mainstream.